Lahsuni Aloo is a tangy dish of potatoes and garlic. My four year old keeps eating this Aloo(potatoes) like biscuits since he loves them so much. These are best served as snacks with a light sprinkle of Chaat masala.I am addicted to this dish and I am sure that after reading the easy recipe you will also fall for this dish.Happy reading and enjoy fuss free cooking! Wash potatoes and cut them in shape of wedges.DONOT REMOVE PEELS.Store them in a bowl of water to avoid discolouration. 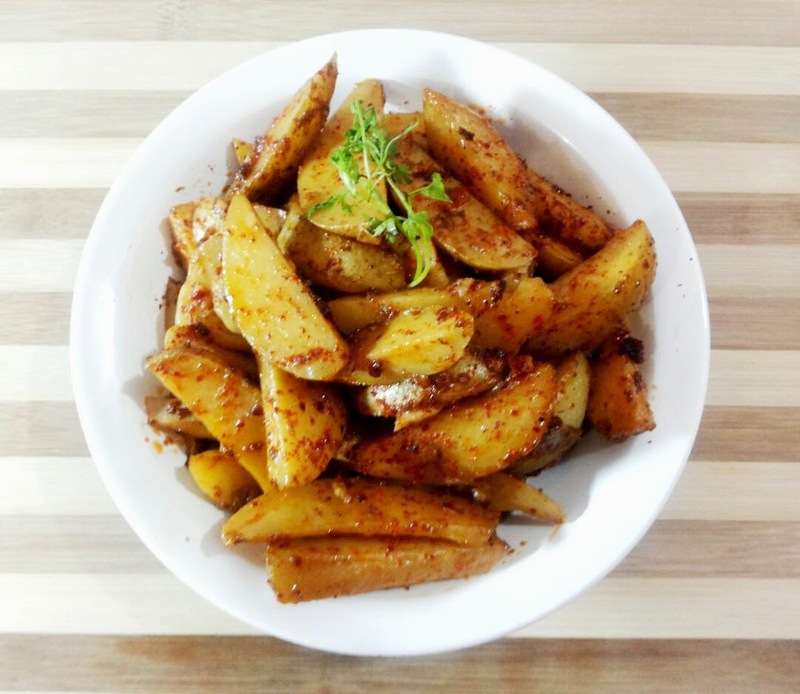 Take a pan and place the potato wedges with five cups water in it.Cover the pan and bring it to boil till potatoes are around 70% cooked/parboiled for approximately 1o to 12 minutes.Drain the wedges and keep aside. Take a thick bottomed pan.Put oil in it on medium heat.Add garlic to it and saute till it is golden brown in colour. 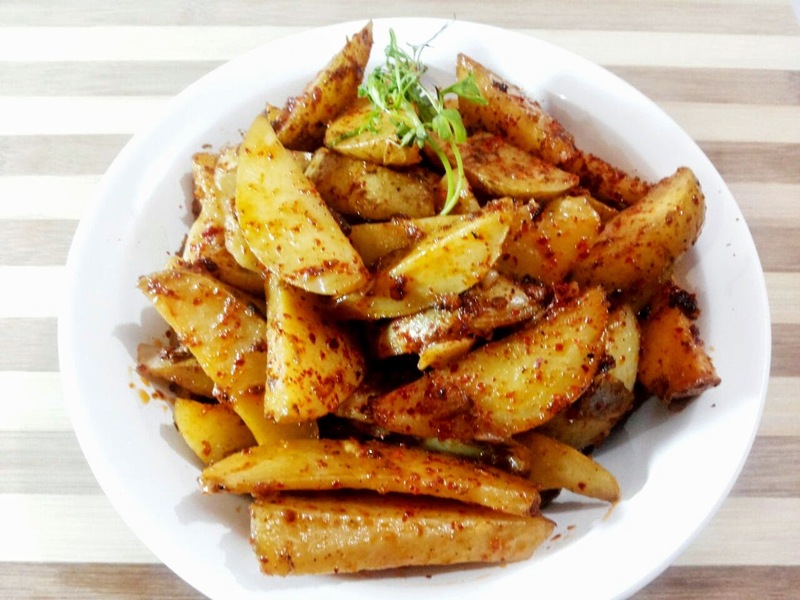 Add potato wedges to this pan.Add red chilli powder,dry mango powder,Black pepper and lemon juice to the pan.Add salt and cover the pan.Let it cook on low heat for 5 minutes. After 5 minutes once the potatoes are perfectly cooked and crisp,take them off heat.Serve hot as snack or accompaniment.Enjoy! Thanks that you loved it.Enjoy reading and cooking!